12 percent of US electricity could be supplied by W2E. According to a study from Earth Engineering Center (EEC) of Columbia University, if every bit of municipal solid waste (MSW) that is presently dumped into landfills every year in the United States was used in waste-to-energy (W2E) facilities, it could produce enough power to supply 12 percent of all of the electricity in the US. Converting all MSW to energy could also lower greenhouse gas emissions. The report estimates that greenhouse gas emissions could be lowered by a minimum of 123 million tons of carbon dioxide equivalents annually, which is the same as removing more than 23 million cars from the road. 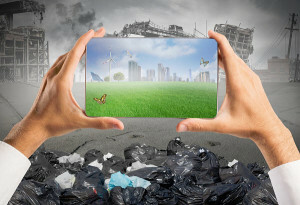 The authors of the study also noted that even though some individual states, particularly Massachusetts, New Hampshire, Maine, and Connecticut, have invested in infrastructure to enhance recycling and recover energy from municipal solid waste, on the whole, countries in Europe have set higher goals. Waste-to-energy increased in the US from 2008 to 2011. In addition to finding out this information, which has decreased the amount of trash left to rot in landfills, during this same period, energy from waste facilities processed an additional 3.8 million tons of MSW and an extra 18.5 million tons was recycled. The material that was recycled the most was plastic, making up close to 11 percent. The EEC study was sponsored by the American Chemistry Council (ACC) and is based on information attained in Columbia University’s 2014 Survey of Waste Management in the US. This study evaluated waste management stats during 2011 and from several state studies involving MSW characterization. Based on the findings of the report, it would seem that expanding waste-to-energy efforts in America would be very beneficial to the US economy, the environment, investors, and the country as a whole.